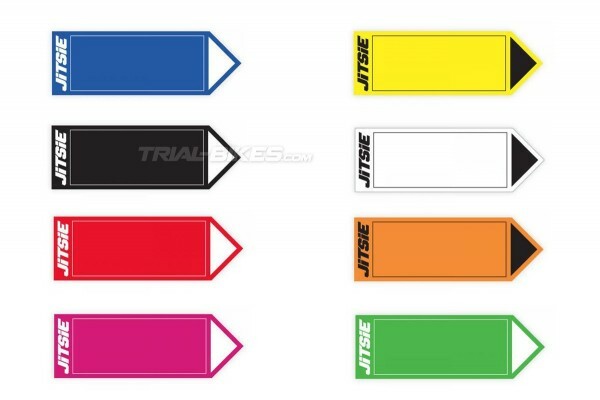 - Section markers made by Belgian brand Jitsie, commonly used on all kinds of competitions and events to direct the rider inside the sections. - Made out of coated card, which is durable and strong enough to be able to use them on multiple occasions. 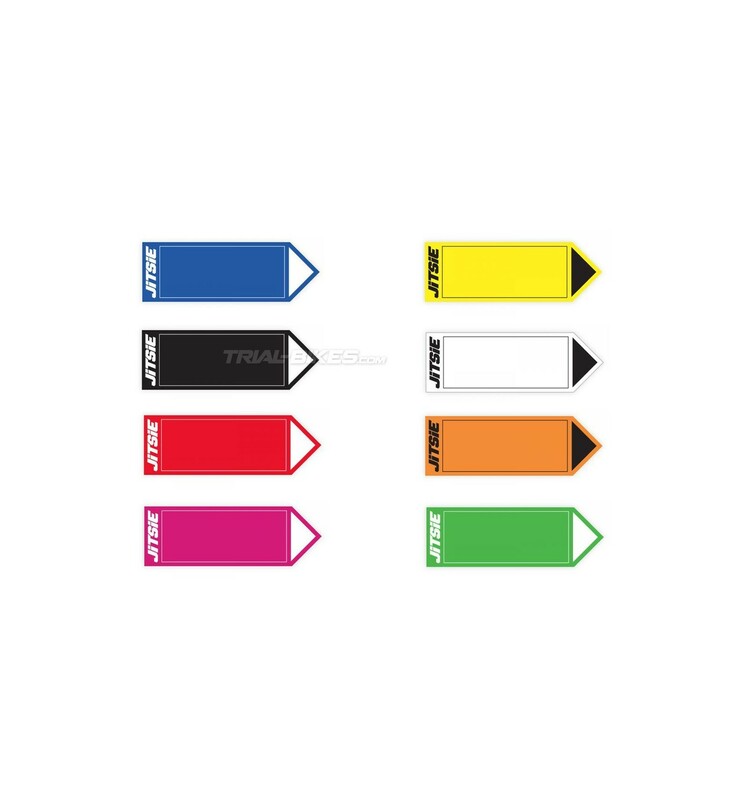 - 8 different colours available: red, blue, black, green, yellow, white, pink and orange. - Supplied in a pack of 10 markers of the chosen colour. - White Jitsie graphics (red, blue, black, pink and green markers) and black Jitsie graphics (yellow, white and orange markers).